Edward Ives considers presenting signs, as well as the care and management required for a good prognosis in this uncommon, but potentially life-threatening, disease. Luca Motta looks at the acute and chronic forms of this condition in dogs, discussing diagnosis, current and future therapy, as well as prognosis. Alberta De Stefani-Llabrés and Anita Theobald discuss approaches to diagnosing senile dementia, and consider the various treatment protocols that can be applied to different cases. Catherine Bovens reviews issues around diagnosing and treating the three classifications of pneumothorax in cats and dogs and looks at likely outcomes. James Harris takes a look at this condition, and outlines methods to get the most out of the treatment process for everyone involved in such cases. Darren Barnes provides advice on the principles of placement and management of drains within a small animal practice environment. Anna Zlot and Natalie Webster discuss methods of contrast studies used in radiography – a useful tool in the diagnosis of urinary tract disease in companion animals. James Grierson discusses approaches to such cases, taking into account any neurological considerations. 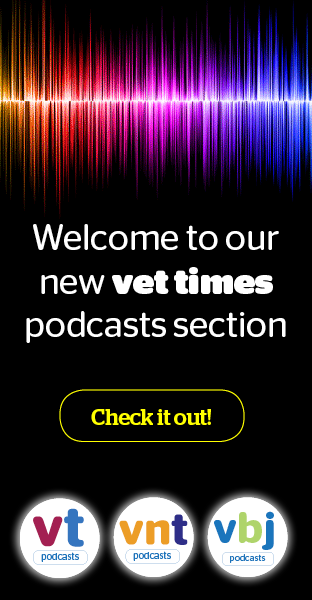 Simon Tappin discusses the diagnostic value of bronchoscopy in dogs and cats, and examines techniques. Jane Coatsworth examines commonly presented skin conditions, highlighting the hot spots where infection can multiply, and an approach to effective treatment. Lisa Gardbaum discusses the merits and application methods of different immunosuppressants, and outlines some of the side effects that can be experienced.